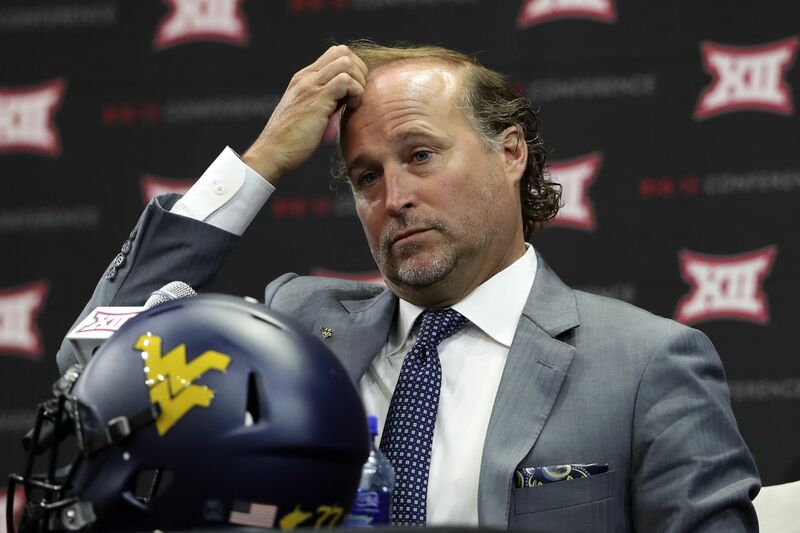 Dana Holgorsen broached a range of topics regarding the West Virginia Mountaineers, but one of the first things he spoke about signals something of a departure when it comes to college coaches. Dana was asked about the expectations for his team, one that features a Heisman trophy candidate and a Biletnikoff finalist on offense, a 2nd-team All American linebacker on defense and experience at every level. We welcome expectations. We want you guys to talk about us. I think we got a good group coming back. Dana’s response highlights that he isn’t backing down from the expectations. He isn’t going to shy away from what could be a make-or-break season for him as a football coach for the Mountaineers. He isn’t going to avoid a challenge and he isn’t going to be scared. Mountaineer fans should be thankful and excited to have a coach who recognizes the challenges that lie ahead for his team and embraces those challenges. Not playing scared has allowed coaches to do drastic things like run a QB pass in the Super Bowl to defeat a dynasty like the Philadelphia Eagles did against the New England Patriots or switch quarterbacks at halftime in the national title championship game like the Alabama Crimson Tide did against the Georgia Bulldogs. Embracing the role and challenges as the hunted is one that can break coaches, break teams and break spirits of those who are not used to being on top.